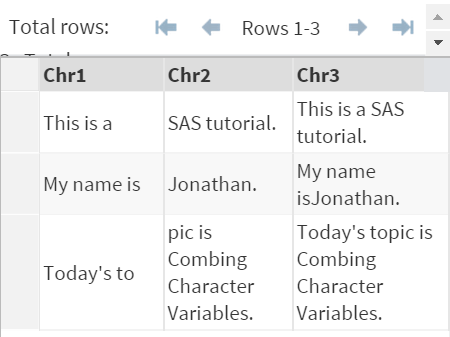 You can use the double stroke (||) to combine character variables in SAS. The TEXT data set above contains 2 variables: CHR1 and CHR2. Now, we're going to combine the two variables by using the double stroke (||). 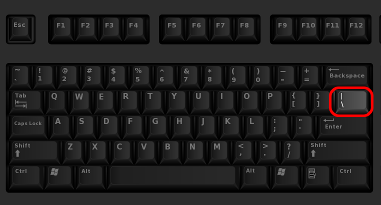 Note: the stroke button is located above the Enter key on the majority of the keyboard. Sometimes, a little prep work might be needed before combining the character variables. Copy and run the code from the yellow box below to get the PROFILE data set on SAS Studio. 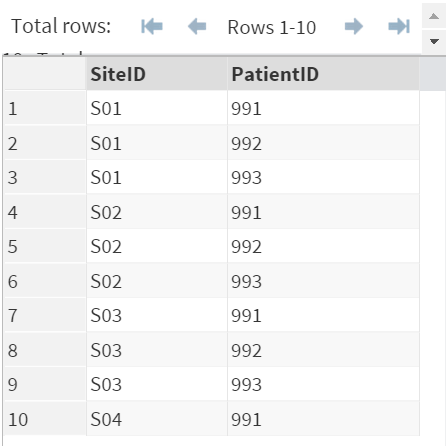 The PROFILE data set above contains 2 sets of ID: SiteID and PatientID. The 2 IDs are combined to form a unique identifier for each patient. When combining the two IDs, there is an extra space between the two variables. 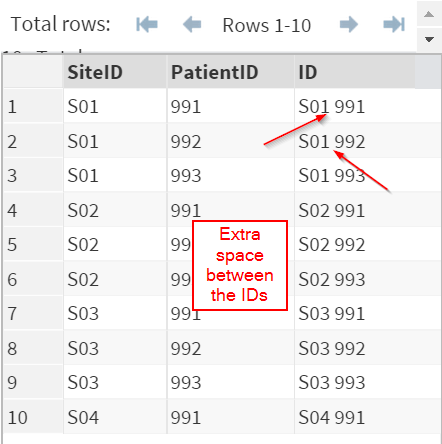 The extra space comes from the trailing space at the end of the SiteID variable. 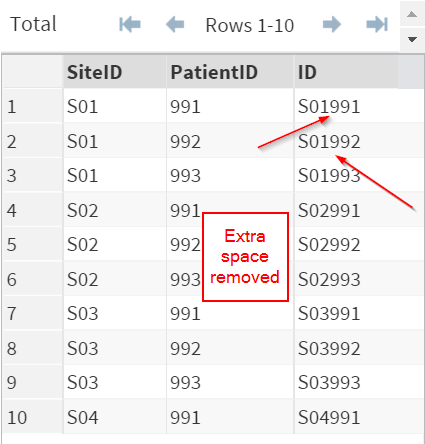 In order remove the extra space, you must use a TRIM function to eliminate the trailing space from SiteID. The trailing space is now removed. Copy and run the FIRSTLAST data set from the yellow box below. 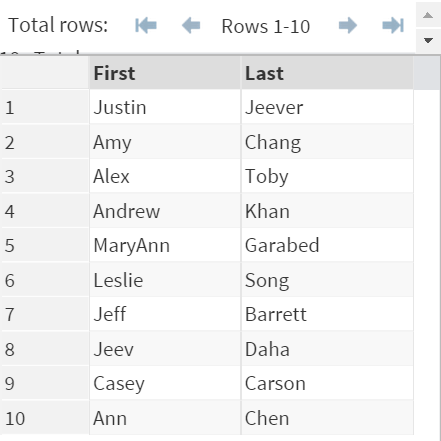 Write a SAS program to combine the first name and last name into one variable.